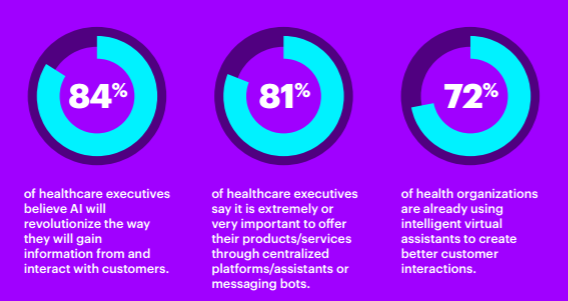 More than 80 percent of healthcare executives polled by Accenture believe that artificial intelligence is on track to completely revolutionize healthcare, and a similar number believe that the advent of machine learning and digital healthcare is driving a significant restructuring of industry economics. The report envisions a healthcare environment where AI can take over the majority of processes currently overseen by humans. Consumer relations and patient engagement are likely to be among the first tasks to undergo the shift. Eighty-four percent of executives believe that AI will fundamentally alter how they gain information from patients and interact with consumers. A similar number have prioritized the implementation of centralized platforms that take advantage of messaging bots and other services. More than three-quarters believe that these decisions will make or break their ability to develop a competitive advantage over their peers in the near future. 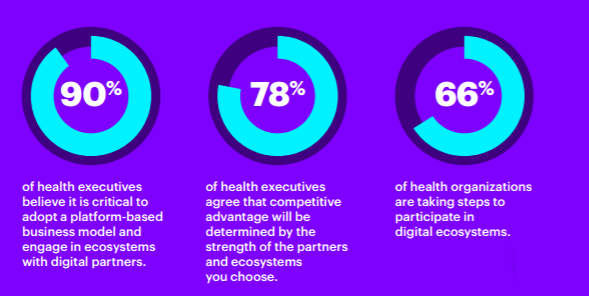 Eighty-two percent agree that industry leadership will be defined by how well healthcare organizations architect comprehensive, seamless digital ecosystems that truly understand what motivates the choices of their patients. Seventy-two percent of respondents to the survey stated that they are already using intelligent virtual assistants to create “better customer interactions,” although the report does not include data on whether customers believe that their interactions are, in fact, improved by interacting with chatbots and other automated tools. Ideally, these always-available staff members will help patients navigate the health system more easily by becoming one-stop shops for important information. “A barrier to healthcare self-service has been that people don’t know where to look for information, leading to difficult and discouraging interactions,” the report says. “Or, they get no personal guidance outside the four walls of a doctor’s office. AI will provide similar benefits on the back-end for payers and providers who currently struggle to extract meaningful insights from the massive volume of unstructured big data at their disposal. Artificial intelligence may be applied to a wide variety of administrative and clinical tasks, including risk stratification, population health management, diagnostics, prior authorizations, and personalized medicine. While the brief takes a very rosy view of how healthcare can adapt to the rapid rise of artificial intelligence, it does acknowledge that many of the questions generated by AI are currently unanswered. Two-thirds of executives believe that they are developing platforms and services that fall into “regulatory grey areas” that do not clearly address the privacy, security, and ethical concerns of an extremely liquid big data environment. More than 40 percent of respondents have already committed to self-regulating in an effort to engender trust across the care continuum. “To build and maintain trust, healthcare organizations must work collaboratively to solve new challenges related to technology,” Accenture says. Healthcare organizations may still have to wait a few years before true artificial intelligence becomes sophisticated and trustworthy enough to automate clinical, administrative, and consumer-facing tasks, but the industry is clearly trending in that direction. “Healthcare organizations have an unprecedented opportunity to transform their relationships with all these stakeholders when they consider and respond to human behavior. And consumers will have a better opportunity to interact with technology to access care how and when they want to,” the report concludes.